Entertainment Earth Exclusive!Your Pop! Vinyl Figure collection is about to get a blast from the past! From the golden era of 90's Nickelodeon cartoons comes Rugrats! 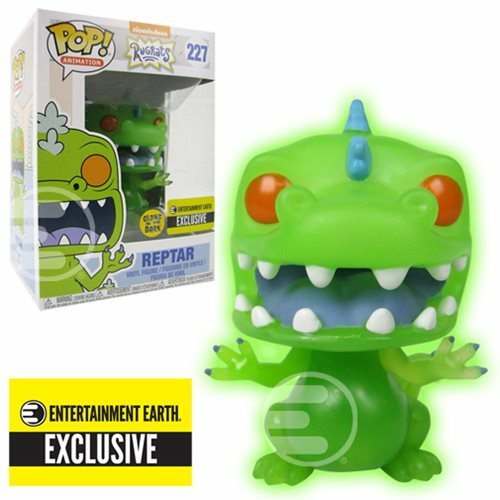 This exclusive Reptar Pop! Vinyl Figure #227 glows-in-the-dark! Reptar measures approximately 3 3/4-inches tall and comes packaged in a window display box. Ages 3 and up. This Rugrats Entertainment Earth Exclusive Has Gone Radioactive!